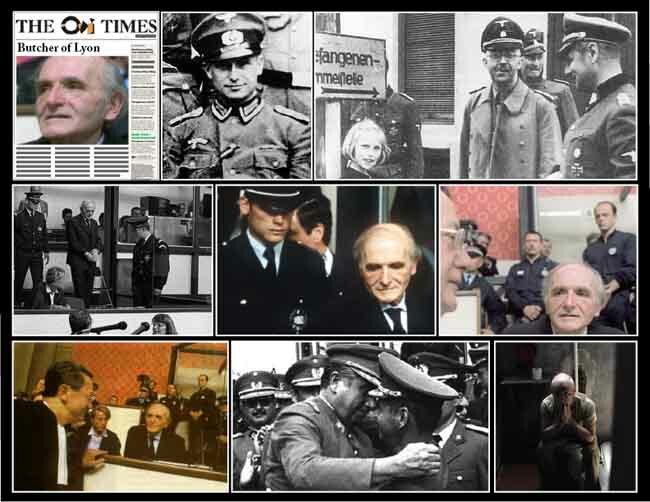 February 6th 1983; war criminal and former Gestapo commandant Klaus Barbie arrived in France to stand trial for crimes committed 37 years ago. The 69-year-old, known as the 'Butcher of Lyon', was behind the deaths of more than 4,000 Jews, many of them children, between 1942 and 1944 when he was Gestapo chief in Lyon. He fled France at the end of World War II and has been in exile in Bolivia for the past 26 years, from where he was extradited. Barbie, who changed his name to Klaus Altmann when he arrived in South America, is also accused of sending more than 7,500 people to their deaths during his time in Lyon.